Iran Briefing – Immediately after the nuclear Iran deal, military commanders and senior officials of the Islamic Republic have declared that the United Nations Security Council resolutions to limit Islamic Republics military power, will not be accepted and such a resolution is invalid. 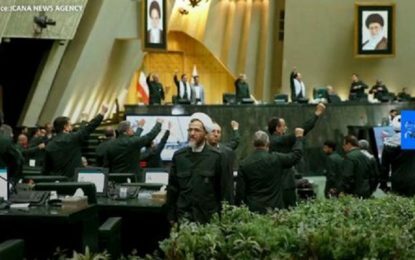 In fact, these statements clearly demonstrate opposition to the nuclear deal as another step of Iranian Revolutionary Guards towards the implementation of the policy of “war”,starting since the negotiations began and continues. While the Iran’s nuclear program marathonfinally came to the signing an agreement between Iran and 3+3and as a result the Iranian people breathe a sigh of relief of sanctions andeconomic boom, after six days on Monday July 20,the UN Security Council issued a new resolution, voted unanimously to revoke the relevant resolutions, so that the positive impulses of worldalso be sent to Tehran’s confidence,but despite the happiness of the people coming to street at the night after signing the agreement and despite the live broadcast presentation of Barack Obama, US president, from the White House, and Hassan Rohani, Iran’s president, from Pastor, in minutes after signing the agreement, there was not good news from Tehran. In the first reaction, responding the congratulated letter of the president, the leader of Iran called the agreement as “a written text” and denied to call that an agreement. After that, forEid sermons he declared to the prayers not only “his mistrust” to the parties of the negotiations, but also explicitly stated that the Islamic Republic will not desist supporting Iran’s “Friends”. The Iranian leader emphasized that supporting “Bashar al-Assad” and Palestine (Hamas) and Lebanon (Hezbollah in Lebanon) and Yemen (Houthis militias) will continue. In continuing these reactions, the MPs (who are often former commander of Iranian Revolutionary Guards) also opposed to the draft resolution. General “Mohammad Ismail Kosari,” a member of National Security Commission and also parliament’s foreign policy, said:” The advantages and disadvantages of the resolution and comprehensive agreement will be determined by Parliament.”Kosari continued: “The parliament will not accept any restrictions on Iran’s missile activities.”He also pointed out that nuclear weapons are not as ballistic missiles and continued:” it is necessary that its section to be corrected.” The other member of the National Security Commission and parliament’s foreign policy, Mohammad Saleh Jokar, pointed to the restrictions imposed on Iranian missile activities “If the other parties in the talks want to ruin the agreement, they could insist on such issues and make sure that Iran will not obey these avarices.” He said. 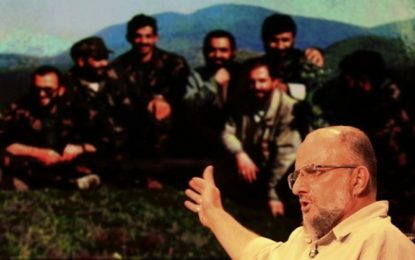 As mentioned above, the expressed senior army commanders and MPs mentioned opposition, it seems that the balance of power at the pros and cons of the deal, and the results in Iran has been disrupted.Despite the optimism of some analysts, the words of Ali Khamenei cannot be interpreted satisfactory and yet it is not clear after the speech by Mohammad JavadZarif and Ali Akbar Salehion the Iran’s Parliament, what conclusion come to the MPs. 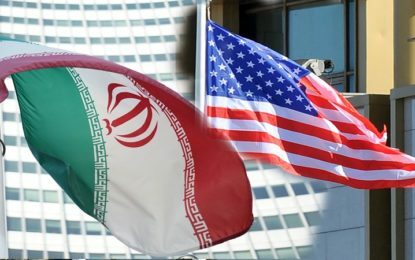 Although the world tried to engage with Iran as a policy of incentives and security guarantees, the warlike Iranian government and the military commanders imitating the Iran’s leader with their opposition act as the Republicans in the US Congress act along with Israel.As a resultthe agreement that was going to improve the general situation of the Iranian people and controlthe Iranian nuclear case, still is threatening by the groups within the government and outside of Iran.